I am the drummer for a Gospel Jazz band, The Upper Room. Here is a bio that was put together on me a few years back. Born in Tallahassee, Florida, Taurus James was reared by his aunt and uncle in Southeast, Washington, D.C. As a child, Taurus developed a raw talent for music, especially percussion. Inspired by local D.C. "go-go" talents "Junkyard", "Rare Essence" and others, Taurus rounded up a small group of his friends and formed a neighborhood "junkyard" band, where the primary instruments used were discarded buckets, bottles and cans. Taurus further developed his rhythm-making skills in impromptu beat contests against other neighborhood children where the winner was determined as being the person who made the best rhythm (beat) using only the hands to strike any available surface lending itself as a percussive instrument. Taurus left Colorado for Tallahassee, Florida after dis-enrolling from the Academy in June 1994. Nonetheless, he returned to Colorado Springs in 1995 and graduated from the University of Colorado with a Political Science degree in May 1996. In July of 1997, Taurus married his girlfriend from the Academy, Trauna L. Clemons (c/o 95). Taurus continued to express himself through music, pursuing his dream of becoming a rap artist. In 1998 Taurus accepted Jesus Christ as his Lord and Savior, converting from Islam, and received his call to the gospel ministry as a preacher and teacher. The higher calling and purpose he accepted allowed Taurus meet and jam with numerous established and well-known musicians. In 2000, Taurus and his wife, Trauna, moved to Hill Air Force Base, Utah and started attending the Second Baptist Church in Ogden. 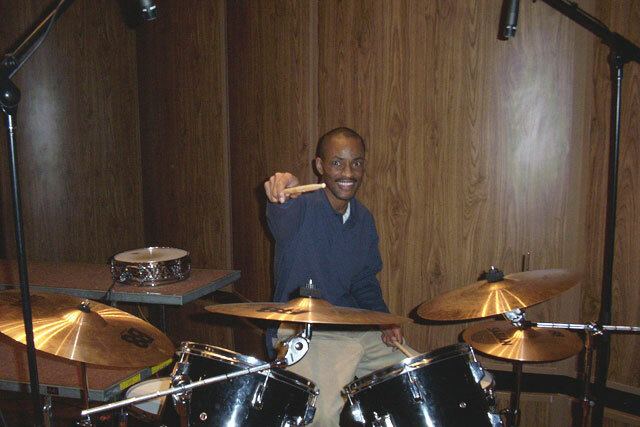 His love for music and his newly found love for Christ motivated Taurus to fill the role as drummer at Second Baptist Church while also serving as an Associate Minister under Pastor Charles Petty. Soon after filling the role as drummer, Taurus witnessed God's work in bringing together and forming the musical group that has now become known as "The Upper Room" - (Mark 14:15; Luke 22:12; Acts 1:13). Taurus has always had a passion for music and thoroughly enjoys any opportunity he gets to share himself through musical expression. On his 30th birthday, Taurus completed his Gospel Rap demo he calls "Just Me", thereby accomplishing another of his life goals and continuing to move forward in his love for music and the Almighty God. He now focuses on composing and producing music for a wide range of media areas and up-and-coming artists. "The Upper Room is far more than four men together making music...The Upper Room is an experience - Four men brought together by God, "Committed to God's Love" (Jesus) and sharing their individual and collective joy of knowing God, through music - testifying to the goodness of the Almighty God. That's The Upper Room."